Work has started on a £800,000 scheme to demolish and rebuild Kerrera’s new breakwater. The breakwater was less than two years old when it was struck by a boat in December causing significant damage. 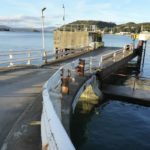 The Scottish Government had invested £2.05 million into a project to extend the two slipways at the ferry crossing between Gallanach and Kerrera, completed on time and within budget in August 2016. 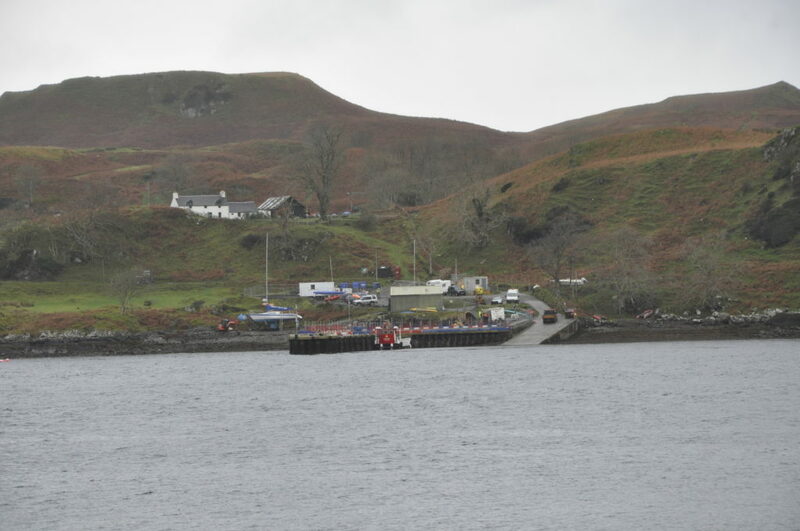 A new 40-metre breakwater was also constructed on the Kerrera side to allow lifeboats to moor for medical evacuation and provide a more reliable and resilient ferry service for its islanders in poor weather, making cancellations and delays less likely. After the collision, a spokesperson for Caledonian Maritime Assets Ltd (CMAL), which owns CalMac’s ferries and ports, told The Oban Times that 10 metres of the breakwater structure had been damaged, displacing a number of the pre-cast concrete deck sections and steel sheet piles. CMAL conducted a public procurement exercise to appoint a contractor to demolish and rebuild the damaged section of the breakwater. A project budget of £800,000 was allocated for the rebuilding works, which would be fully recovered through CMAL’s infrastructure insurance arrangements. A notice on the Gallanach slipway reassures passengers the work, due to be completed in December, will have no impact on ferry timetables.